(MENAFN - UkrinForm) President Petro Poroshenko has stated that Ukraine is making every effort to release all Ukrainians illegally held in Russian prisons, including Ukrainian filmmaker Oleg Sentsov and Ukrinform journalist Roman Sushchenko. "Ukrainian hostages are still held captive in the country-aggressor - Russia. And we will fight to ensure that both Sushchenko and Sentsov, and all the others who are being kept in Russia and occupied Crimea be released as soon as possible. International solidarity and our determination are a guarantee of this," Poroshenko stressed. The president also promised that other Ukrainians that are being held captive in the so-called Donetsk and Luhansk People's Republic will be released, and a "museum of occupation" will be created in the places of their detention after the liberation of Donbas. As Ukrinform reported, on Wednesday, a total of 74 Ukrainian captives who were held in captivity in the uncontrolled areas of Donetsk and Luhansk regions were released. 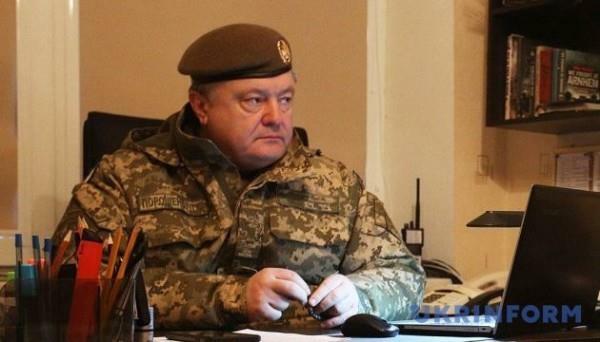 The Ukrainian side handed over 233 rebels and their supporters.